The actual planning and development of, for example an office suite or an IT centre for a school, can be a very complex and time consuming task. This is especially so when you are 'not quite sure' exactly what you need or where to get it. Academy Systems specialises in providing not just office furniture and desking, but a plethera of products ranging from simple workstations and chairs to security products, LAN system desking, storage utilities all the way up to complete office, IT, and student accomodation suites. Because of this, we have a wealth of experience in not only avaliable products, but also how they relate and can be arranged to best suit your needs. We also have the experience to 'adapt' such products if necessary - for example for those with special needs. Many of our customers have taken advantage of our services for these very reasons. 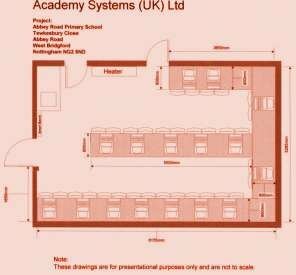 To find out more about our design and development services visit AcademySystems.co.uk.